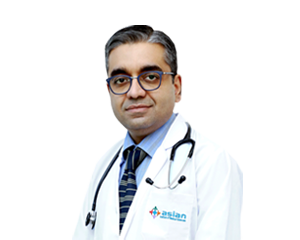 Asian Institute of Medical Sciences has a vision of being a centre of excellence in renal (Kidney) care. 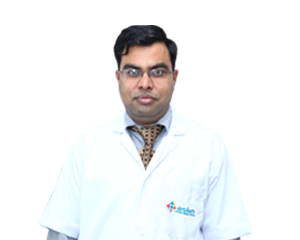 It has state-of-the-art medical (Nephrology) and surgical (Urological) departments working together with a back up of excellent ICU, emergency, cardiology, operative, imaging and diagnostic team so that a world class renal diseases treatment facility can be provided to the patients with a difference. Haemo Dialysis Centre: Maintenance haemodialysis is available for the patients of CKD (Chronic Kidney Disease. 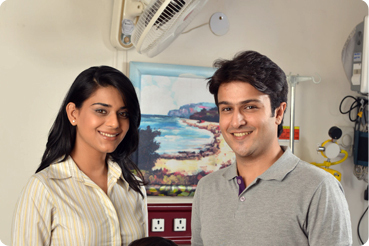 This dialysis centre is one of the best centres in Delhi NCR. This centre has been successfully conducting more than 2000 dialysis every month with excellent results to provide quality life. Dialysis is also conducted on critically ill patients. Dialysis in the ward: Spacious with a pleasant ambience, every bed is equipped with a large personalized LCD television and electronically operated posture controlled bed. Isolation Dialysis: For patients who are positive for hepatitis B, as per CDC recommendation, we provide isolation dialysis that helps in avoiding spread of blood borne infection during dialysis. Nocturnal Dialysis Centre: This is a dialysis given during night hours for a prolonged duration on more frequent basis which helps in achieving near normal physiological state and well being. Private Dialysis Centre: For CRF patient who prefer personalized care in a home like environment, the facility of private dialysis in isolated deluxe room is available. A home like ambience with regulated entry of family members gives privacy and comfort to make the procedure pleasant. Plasmaphresis: This is a procedure to remove unwanted plasma from the body. This is of immense benefit in conditions like- Guillain-Barre syndrome, Nephritic Syndrome etc. Peritoneal Dialysis Centre: All forms of peritoneal dialysis such as acute intermittent PD, CAPD (continuous ambulatory peritoneal dialysis) and automated PD (APD) are done here.